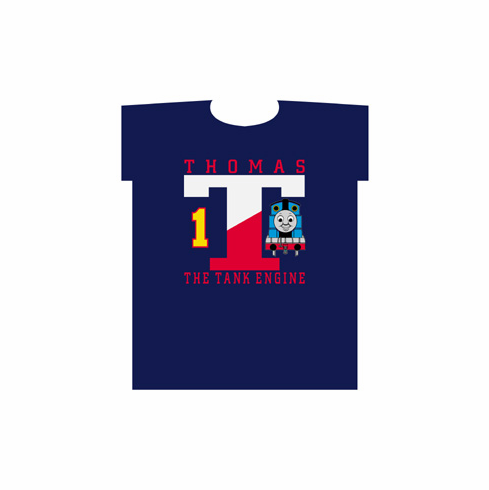 Front of shirt as pictured with Thomas the Tank Engine picture and lettering. T-shirt color is dark navy blue. 100% Cotton - Pre-shrunk - Machine Washable.